Bright LCD display shows you the currently selected Locomotive numbers as well as their speed and direction. The central section holds information regarding turnout/signal status. Decoder programming is menu-driven. The extremely easy-to-use menu provides ready access to all the features and functions of this versatile unit. The two rotary encoders allow you to take control of a locomotive starting exactly from its current speed. Pressing the speed dial brings the currently selected locomotive to a stop and reverses direction (just like your old conventional transformers). 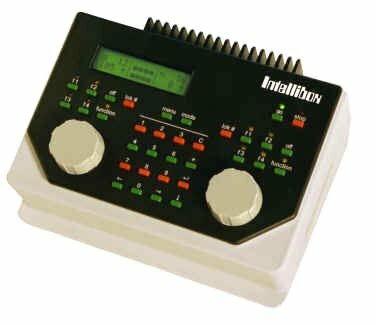 One Intellibox instead of many devices - The Intellibox performs all these functions: Central Unit -- 3A Booster -- Two speed dials -- Keyboard for turnouts and signals -- Computer Interface -- Programmer for all Uhlenbrock and NMRA-compatible decoders. Completely compatible with all your existing Marklin Hardware - Take your existing 6035s, 6036s, 6040s -- even your 6021 -- and plug them all directly into the Intellibox. Everything will work as before! "Freshness" guarantee: The Intellibox is software upgradeable - just download and go! Isnt the Intellibox a clever device? 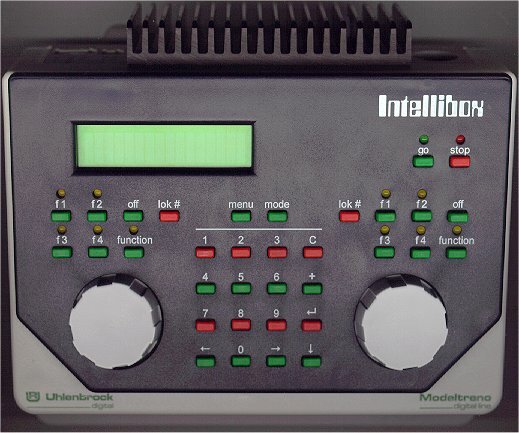 The Intellibox is able to drive digital layouts using either the Marklin-Motorola or the NMRA digital format or TRIX format - or all together! It is a very powerful and extremely compact Central Unit: thanks to its five microprocessors, it is able to provide the functionality of many different devices through a single unit. 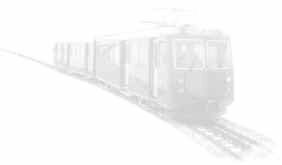 · Locomotive control - Through the two rotary encoders, two locomotives at a time can be steered independently. · Keyboard for turnout and signal control for switching up to 256 (Marklin) and/or 2048 (NMRA) electromagnetic devices (turnouts, signals, etc.). Eight of these at a time are directly under your control. The LCD display shows the current status of the currently selected 8 devices. · Powerful 3A Booster can power several locomotives simultaneously. Track voltage adjustable for gauge N and H0. · Built-in computer Interface - Connect directly to a computer. Allows you to operate your layout through a computer. · Programmer - Programming Uhlenbrock and NMRA decoders is extremely simple and easy: the user interface is menu driven, with clear messages written in your language. The Intellibox can be connected to many different devices. On the backside you can find connectors for the power supply (16VAC transformer), s88 feedback modules, serial interface, Digitrax LocoNet, Roco and LGB LokMaus, Lenz and Marklin Boosters, Programming Track (for decoder programming) and power output for the tracks. Control 80, Control 80f and Control IR, Keyboard and Memory Units made by Marklin and Arnold can be connected to the Intellibox sides. The built-in serial interface can also be used in order to upgrade the Intellibox software: no need to open it. Just download from the web and youre ready to go! The Intellibox is "future proof" and expandable. A true multi-featured Digital System.